You need to set your expectations for this trip. As you are going in the wild, the whales may or may not show up and if they do, you will only see them far far away (if you are lucky than near your boat) and only tiny bits of this huge animal. The reason I have given them a three start is because the cruise wasted a lot of time pretending to collect people from other places, went into deep sea on a very slow pace, resulting in relatively less time to be in open seas. They could have managed the time properly. Knowledgeable commentary, good job finding the whales so late in the season! The Staff and Crew provided excellent service. We had a great time on the whale watching cruise! Highly recommended for their exceptional service. 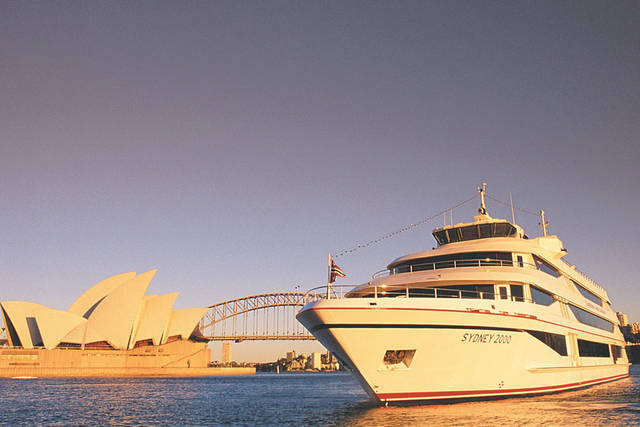 In fact, I booked two more cruises when I got home--Sydney Harbour History and the New Years Eve cruise! Looking forward to our future cruises with Captain Cook! Service: yes, of course i would buy from them again. Service: commentary was very informative. staff were friendly and showed concern for safety of passengers on board. Product: Accomplished details for two passengers online but information for second passenger was not received at Capt Cook's end. Während unserer Tour hat die Crew sich leider bei der Zeit vertan und gerade also wir einen Spot gefunden hatten, an dem wir Wale sehen konnten, hieß es dass wir umdrehen müssen.... ein paar Minuten später hieß es dann, sie hätten sich vertan und es wäre doch noch Zeit... nur leider haben wir dann die Wale nicht mehr gesehen. Product: I was able to catch the seal show & bird show with enough time to explore everywhere else & grab a bite to eat! Captain Cook tours made everything easy but just be sure to arrive half an hour early fo exchange your paper ticket for an actual ticket or the ferry will leave you. Overall worth the visit! Especially the climb(lift) up when you first arrive. Service: The crew was really nice, especially the guide, who shared her passion for her job and for whales. We got to see a mum and her calf really close and it was a very especial experience to me. On the way back, the boat crossed Harbour Bridge to get great views of it with the Opera House. I would totally recommend this cruise! Product: Very easy to book online and to get the ticket at the booth. Service: Great afternoon out, we saw lots of Whales and the crew were so informative I would definetly recommend this trip. Product: The crew were very good and told us so much information about the whales which added to our expierence. Experience of a lifetime, seen two pods of whales up close and learned a lot about them. The guide was very friendly and helpful! Totally doing it again when back to Sydney. Thanks guys!!!! Website and booking process could be a lot clearer from a purchasers perspective - the email that follows your booking contains way too many links that are irrelevant. The trip itself was fantastic, as were all the staff - especially the academic. Product: The cruise was exciting; the presenter was well informed and easy to follow; the whales played their part. Very informative trip fabulous to see a large female with her calves. Product: Fantastico, tutto organizzato alla perfezione, i tempi sono perfetti. Service: No whale can watch. Bad experience and will not join thia tour again. Expensive and nothing to see but the tour guide said already have whale only we cant see because very far. Unbelievable. So mean cant watch right! Product: No whale can watch. Bad experience and will not join thia tour again. Expensive and nothing to see but the tour guide said already have whale only we cant see because very far. Unbelievable. So mean cant watch right! Thank you for your review of your Whale Watching Cruise. As you know we cannot control the whales, however please be assured our staff always endeavour, in conjunction with their highly skilled and experienced judgement, to position customers with the best chance of seeing whales. Foi tudo excelente! A única questão é que faltou informação e direcionamento para o embarque. They waited in the Sea until we spotted the whale and made every effort to remain close enough to those whales for us to take some good shots. Amazing commentary and shared many things about the behaviour of whales which the kids enjoyed as their learning too. Service: What a wonderful afternoon we enjoyed cruising out through the harbour and into the open ocean. The commentary was informative, enthusiastic and very funny. Our Captain always made sure we had the best vantage point to observe the many many pods of whales we saw. The baby whales were so playful and provided us with thrilling entertainment. Don’t miss this great cruise. Service: Great cruise seen a mother and baby whale. Fabulous day. The staff were great and the experience was good. However, the boat was small and there wasn't enough room for many to stand along the open area. The result was that i was crushed by a boorish man who pushed from behind me to take photos. While waiting for our boat i saw 2 other companies going out in bigger boats which had more open space. Service: The staff was friendly and were ready to answer questions. Product: The boat was good and the staff, friendly. The only problem I faced was with sea sickness. Of course this is personal, but still affects the trip. Product: Very good. The quality of the sick bags was first class. Service: Quick briefing before entering the boat not during the cruise as it is hard to listen. Response from Captain Cook Cruises: Dear customer, Thank you for your review of your Whale Watching Cruise. We present our safety onboard as this allows crew to point out safety equipment and allow customers to familiarise themselves with the vessel. The weather was windy and the sea was very choppy. A lot of customers got sea sick. No whale was in sight for most part of the journey, even though the captain decided to keep going to look for whale. I understand your company policy but shouldn't customers well being be your priority first? Thank you for your review of your Whale Watching Cruise. As any other operator in the harbour, we unfortunately depend on weather conditions to operate which can be affected by unforeseen circumstances. Our aim is to always try to satisfy our customers onboard, and as you know finding the balance between passenger’s needs can be difficult. We do apologise sincerely for the inconvenience. As you know we value customer feedback, therefore your comments were forwarded to the relevant managers on that matter. Service: Good service. But the seas were rough and in the end, we didn't see any whales. We were given coupons for the next whale watching for free but we were only in town for a while and the coupons were only valid for 2018. We couldn't ask for a refund and frankly we were disappointed. Product: Rough seas with no whales in sight. We were given coupons for another whale watching experience that were only valid for 2018 but we were already going back to our country the next day. No refunds were given. We were disappointed. It’s the second time it gets cancelled... this kind of *****, especially when you have kids and you have to explain why we cannot go to see the whale AGAIN. Thank you for you review of your Whale Watching experience. As any other Whale Cruise operator, we unfortunately rely on weather conditions to operate which can be affected by unforeseen circumstances. For that reason, we update our cruise times daily to try to be as reliable as we can. We do apologise sincerely for the inconvenience. As you know we value customer feedback, therefore your comments were forwarded to the relevant managers on that matter. Whales soaring through the skies seabirds, dolphins thanks captain Cook! Product: The whales didn’t let us down!! the crews are really funny and full of knowledge about whales!!! We felt very comfortable with all staff and secure on the boat. We were so excited to see 2 whales and even seen one of them breach high out of the ocean. Enjoy the moment we can really saw the humpback, how excited!! Captain also funny and nice, we can saw the seal in the nature! Knowledgeable and charming staff who did their utmost to make the experience enjoyable. And boy did they deliver on great whale sightings. Service: We really didn't get to see any whales. It's not their fault - you can't control nature or other people. But it was a bit disappointing. The crowd blocked the view when there were little splashes. Not Captain Cook Cruises fault. It was just one of those days. Would love to actually see some whales next time! Product: Not sure it was worth the $85 ticket per person for the little we saw that day. Thank you for your review of your Whale Watching experience. We were disappointed to read that you felt that not enough whales were seen on your cruise. We were pleased to read the report from your cruise stated that two separate pods of whales, meaning a total of four humpback whales were seen in addition to the 3 fur seals spotted. These whales performed blows, arched backs, peduncle throws, fluke-up dives and tail-up dives in front of the vessel. We apologise if you felt this does not meet your expectations for the cruise. The experience in general was very poor for the money paid. Lots of people on the boat fighting to get a glimpse of a whale, that the captain was not able to show. At the begining, we did not see any whales, after wandering for 20 min he decided to follow one of the other boats (different company) and finally we got to see somenthing, but the captain was chasing the whales as a headless chicken, so everytime we got a glimpse of one of them, he would change course and follow them instead of keeping steady so the passangers could see. Only the ones at the front of the boat were able to see somenthing, very little (we were at the viewing deck upstairs). After our complaints, he decided to mirror the movements of one of the boat of the other company (which obviously had more experience in the matter as they were waiting for the whales to emerge rather than moving constatntly in circles) and only then, we saw somenthing, but by that time it was too late and we had to had down to port again. Service: Good introduction and service. Service was Ok , but it was a bad experience as the weather was bad, the seas were pretty rough and everyone was scared, screaming kids and more than half of the people were vomiting, They should not have sail if they knew the weather was bad. Service: The crew on the boat is amazing, friendly, knowledgeable. The whole experience was so much fun, we spent an hour watching the whale as he was so interested in our boat. Also saw dolphins and at the end of the trip the crew took us to see seals as well! Thank you and definitely recommended! P.S. the only small thing that could be improved is phone booking experience. Long wait and the ******* the line was not really helpful. Product: Great trip, fun and completely worth going! Nice, helpful, capable staff. High quality, modern craft. Service: This is an amazing trip and manage to watch few whales on the open sea. My parents really enjoy it and it's highly recommended. Product: Easy to purchase online and helpful staff as well. Our family enjoyed the whale watching very much. Everything was great. Our only disappointing thing was that the guide who talked, talked way too much. There were a couple of times, he missed telling us which direction the whale was. He was talking about something else. Not the best season for whale watching in mid-August but we spotted some none-the-less and the ride and information by the guide was well worth the tour. Very informative and a fun day on the water. Thank you for your review of your Captain Cook Cruises experience. We always strive to ensure our customers enjoy their experience on our cruise and offer a whale guarantee for all cruises. We can assure you that our staff are trained to provide our customers devoted and efficient service. We always encourage guests to talk to the whale commentator on board if they have any concerns, especially regarding service, as they will be able to solve the problem immediately. Please be assured your concerns have been forwarded to our catering and hospitality manager. Great crew members and experienced guide. However the windows on our cruise were quite dirty that inhibited the viewing a little. The weather meant that standing in the elements, at the outdoor areas, was a slightly uncomfortable and crowded as it seemed a little small for the amount of people booked. However overall quite enjoyable. Good explanation. Cannot see the head of the whale as pictured in leaflet! Great afternoon out, thank you to the crew for a great job - commentary, but also keeping all guests safe, noticed they also made sure the international guests were safe in a really polite and respectful manner - great job. Thank you for your review of your Whale Watching experience. We were disappointed to read that you felt that not enough whales were seen on your cruise. 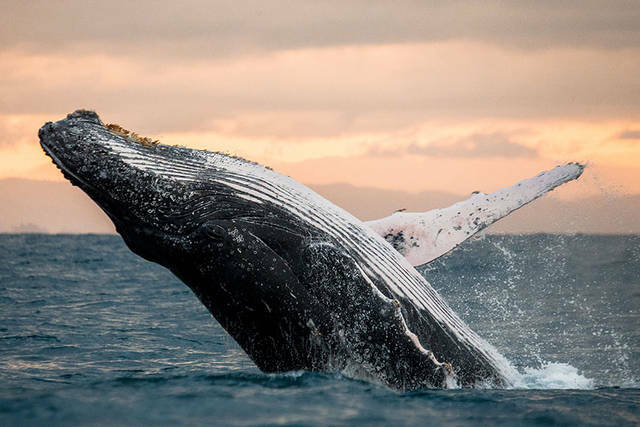 We were pleased to read the report from your cruise stated that two separate pods of whales, meaning a total of four humpback whales were seen. These whales performed blows, arched backs and tail-up dives in front of the vessel. 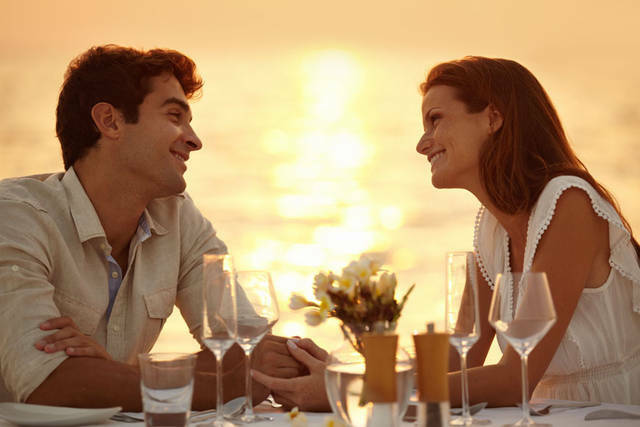 We apologise if you felt this does not meet your expectations for the cruise. Service: Service level was good, the vessel was clean, and stable. We also left on time and made it back on time as well. Product: Service level was good, the vessel was clean, and stable, and the commentary by the crew was important for us to understand what we were seeing, which was the migration of the whales. And what made it even better was the spotting of at least 2 pods of whales! Great cruise! The boat was in very good shape and the tour started right on time. The person talking in the mic, I can't remember his name, provided a lot of very interesting information and was really funny. It was our lucky day because the weather was beautiful and we saw many whale so my friend and I really thought the price we paid for this activity was totally worth it. Thank you for your review of your Whale Watching experience. We were happy to read that you had a great experience during the whale watching cruise despite the rough weather conditions. We always monitor the weather forecasts so that our cruises can view the whales when the weather is suitable for sightings. Service: Matig schip, safety instructie open water werd volstrekt niet serieus genomen, cruise te kort, half uur gedobberd net op open water tot het tijd was terug te gaan. Geen dier gezien, kan altijd voorkomen. Echter over de whale garantie geen woord en omdat de kaartjes volledig waren ingenomen bij boarden geen poot om op te staan. Bedankt voor uw recensie van uw Whale Watching ervaring. Wij kunnen u verzekeren dat onze schepen en bemanningsleden volledig zijn uitgerust met veiligheid en comfort als prioriteit. Zoals u al zei, walvissen kunnen moeilijk te vinden zijn aangezien het wilde dieren zijn maar volgens ons rapport van die dag heeft de Whale Watching cruise een aantal walvissen gezien gedurende de cruise. En de Whale garantie wordt alleen gegeven als er geen enkele walvis is gezien gedurende de tocht. Nogmaals, bedankt voor uw recensie. Service: Took their 2.5-3 hour PM whale watching cruise on 10 August, 2018. The boat came late, then had to pick up more passengers from Taronga Zoo. Boat went out for about half hour, then stopped “in case some whales have been around and not wanting to miss them”. After about 15 minutes, saw other boats (except Whale Watching Sydney) and followed them. Saw some sprays from a couple of whales, waited then chased a bit, then saw more sprays. After about half an hour most of the boats left to other spots, but Captain Cooks stayed. After about half hour, boat turned back to view some seals!! Thought I paid $55 to see whales closeup, not a boat ride to see seals!! I paid $59 last year with Whale Watching Sydney and saw 2 whales closeup for at least half an hour. Thought I’ll bring some family members to see same this year unfortunately has been utterly disappointed. I felt the Captain Cooks crew hasn’t really tried or has experience looking for whales. Came back to shore the same time as Whale Watching Sydney who left 10-15 min before us. I asked some guests from Whale Watching Sydney who just got off their boat if they saw any Whales closeup, answer, “yes, 5 and up close”! Thank you for your review of your Whale Watching experience. Our staff are expertly trained to find whales during the cruise and go to spots where whales have been sighted. These are wild animals however, and we cannot crowd or control them. Whales are constantly on the move however, and this unpredictability can make whale sightings vary. 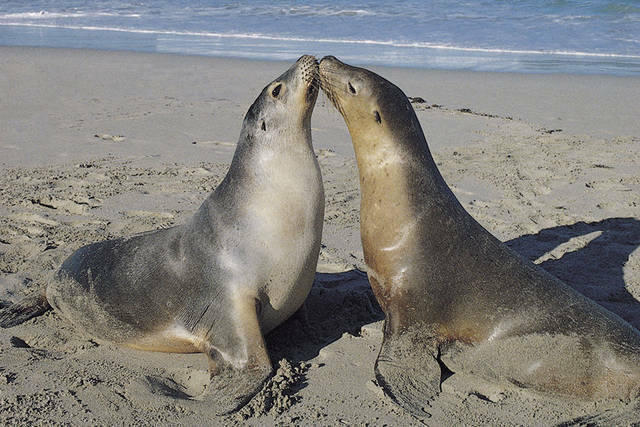 In the event that the number of whales sighted during the cruise is low, the staff will attempt to find other wildlife, such as seals, for people to enjoy. 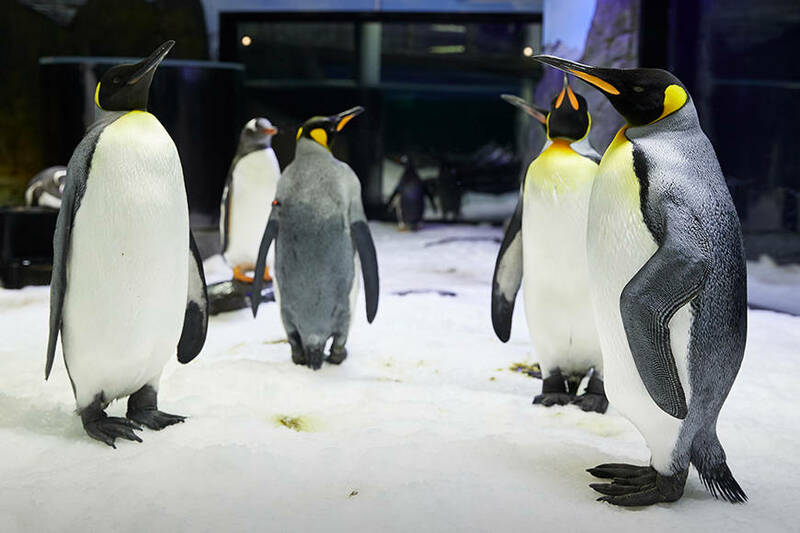 We were disappointed to read that you felt that the amount of wildlife was not up to your standards. Service: The purchasing procedure was easy and the crew were professional. Clear information was sent out prior to the trip. Product: We had an excellent time out on the water and saw plenty of Whale activity. It was everything they promised and the crew were professional. I would definitely recommend this trip to others. Thank you for your Whale Watching Cruise. We have outdoor viewing areas on our boats during the whale watching cruise optimized to increase visibility for all customers. There were too many people and i did not get to see the whales properly. Thank you for your review of your Whale Watching experience. We have outdoor viewing areas on our boats during the whale watching cruise optimized to increase visibility for all customers. Our windows are cleaned thoroughly and regularly, however the salt water can sometimes make the windows appear otherwise. Excellent introduction and detailed explaination of whales. Crew were entertaining. Many whales were spotted during the 3 hours journey, the cruise was definitely valued for money! Service: Generally, very well organized although a bit mess when waiting for embarkment. Nobody was present to tell people what ferry to embark on. Two ferries were present in the meantime - one competition, the second yours. People were running from one pier (within Wharf 6) to another and did not know what ferry to embark on. Your ferry logo is hidden below the pier and not visible to passengers waiting on the pier. Finally the third ferry was the right one. I would recommed your services to others. Product: Please see above explanation. Service: The staff did a very good job in spotting the whales. Product: With the discount, the cruise is good value. Service: Commentary was excellent helping a rewarding experience. Found 2 pods of whales and provided excellent photographic opportunities. Service: The cruise team was very kind and service was great. 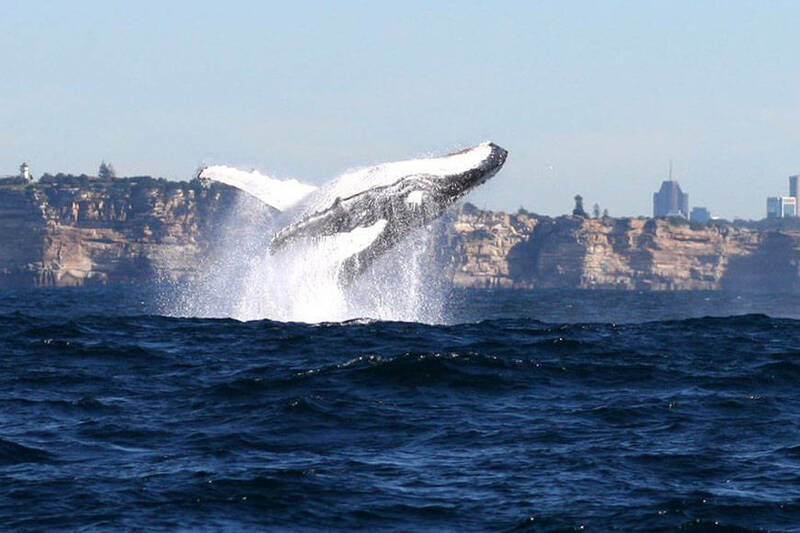 Product: A must do in Sydney and watching whales was just amazing. Product: Muy facil comprar, ir al sitio y disfrutar de la experiencia. Very well organised and young lady who did the commentary was excellent. Thank you for your review of your Whale Watching experience. We are disappointed to read that you felt that you did not see any whales during your cruise. Whilst this is the mid-point between the northern migration and southern migration, we were pleased to read our Whale Report which stated that a pod of two Humpback whales were spotted and followed during this trip. It’s a greate journey with Captain Cook Cruises. The people are so nice! Service: Once got into Pacific Ocean, the voyage was very rough. We were severely affected by the motion. Didn't bother to leave our seats to see the back of the baby humpback. Product: Rough journey and the return was only the back of 2 baby whales. Thank you for your review of your Whale Watching experience. We are disappointed to read that you felt that the whale watching cruise was not up to your standards. We review the weather conditions out at sea every day and we will cancel the cruise if we feel the weather is not suitable. We did not cancel the cruise on your day of travel as the weather conditions were fit to go out and see whales. We guarantee that you will see whales on our cruises, however they are still wild animals and we have no control over what they do. Service: We saw whales and the commentator was fantastic. Whale watching cruise was enjoyable for the older and the younger passengers. All the crew were enthusiastic and helpful. Thanks for a memorable day! Had a great time - the staff were very considerate as my 13 year old was shoved to the back by some horrible tourists and they almost knocked her new digital DSLR skin camera out of her hands.... Staff came to the rescue and moved my 83 year old mum and my daughter who were on the cruise together back to the front where they were originally. THANK YOU! it made such a difference for them. Great experience, would highly recommend. Crew were fantastic. Awesome time viewing the whales! And dolphins!! 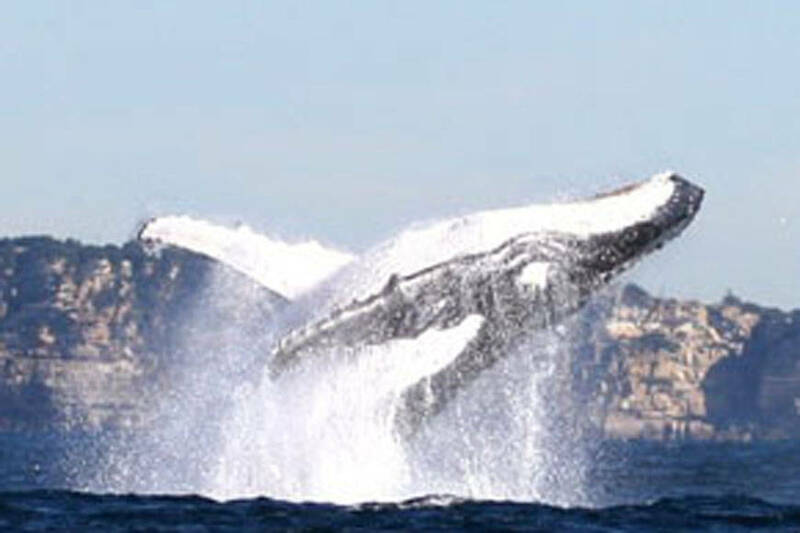 A very enjoyable whale watching cruise to see the beautiful creatures of the ocean. There was a high swell but the crew were excellent. Gave great advice and help when required. Great experience. Spotted couple of whales around 4-5 times. Great crew and Captain, they were waiting to show us the whales patiently. 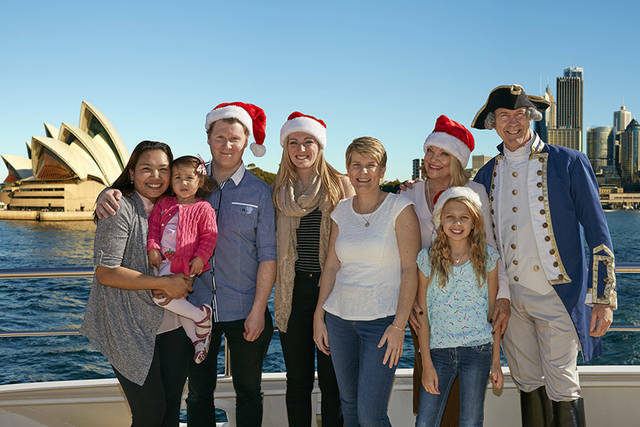 Service: Excellent experience with captain Cook cruises. We did the whale watching morning cruise and saw 3 humpbacks and even a little baby whale! Would recommend this to my friends. Product: We got what we paid for: close-up whale watching! Service: Friendly and informative commentary. Skipper's focus on finding whales appreciated. Service: The cruise was excellently conducted. The information shared by the crew was extremely helpful, interesting. Product: Excellent tour, interesting conversations, facts and trivia shared by the tour crew. Service: A little over crowded on rear deck and not enough deck space. Would be better on a top deck boat where you can move freely. Product: The prices vary from different operators for the same experience from $39 to $85? Thank you for your review of your Whale Watching experience. Our whale watching vessels are specifically optimised for whale watching. The pricing differences are due to a number of variables, including duration, vessel comforts, staff service, whale knowledge, etc. during the trip. the whale watch cruise was awesome, great day all round. Service: The ship was a bit small and I could not see the whales because of the many people that were gathering on the the boats sides. Service: Definitely would go again, was amazing! Service: yes Would buy again. It is a wonderful trip to take visitors on. Product: Very surprised no water fountain on board 2-50 for a small bottle of water is outrageous. Team members were very attentive and the cruise itself is of a very adequate length. 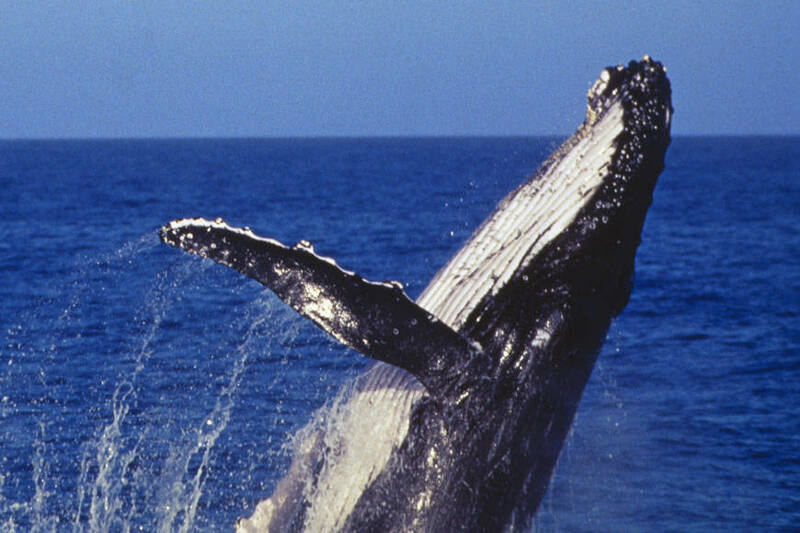 We’ve spotted many humpbacks and moreover got to know some interesting facts about them. The only thing is that the boat was pretty crowded so it was hard to find a good watching spot. Service: Boat ride was nice. We did see whales although they did not come out of the water too much. Well organised. Good presenter on the boat. All round good experience. Would highly recommend it. We were so lucky to have a great day and see some whales in the ocean. Everyone was happy. Service: Very well organised. Excellent commentary. Problem-free from start to finish, with very knowledgable whale expert on board. We had a great day! excellent commentary aboard the vessel and passionate crew that ensured we had the best views at all times. Fabulous experience! The Whales put on a great show, the commentary was interesting, fun and well delivered. Other crew were pleasant and engaging and the boat was very comfortable. Wonderful crew and really value for money! If the relevant time table can be clearer instead of having to go through the whole webpage to look for it is provided would be even better! Service: The tour was outstanding. The host was very knowledgeable but did not stop talking....so any whale footage I have had her talking which kinda ruins it. Service: Wonderful day out watching the whales they were literally in sight for the full 2 hours breaching and playing. Best thing ive ever witnessed. Product: Best day out! the whales put on a show for the full 2 hours was magic best thing ive witnessed. Captain, crew and presenter were very friendly and only too willing to answer any questions. Would like to go on this again. Service: The commentary was second to none. Excellent commentary and excellent navigation skills from the captain (and crew) to achieve our goal of seeing quite a number of whales. Well done to all the crew. Product: Absolute value for money. A tick on the bucket list but will do it again. Great value for money for a full day out. Friendly knowledgable staff. Really enjoyed our cruise with captain cook and were very lucky to see lots of whales that day ... would highly recommend. The team was really nice and professional! It was magic to see whales! Thank you for your review of your Captain Cook Cruise experience. Our Whale Cruise offers live, personalised commentary providing insights from our highly experienced commentator. As you’re aware, finding the right balance between providing information, humour and interactions can be difficult as each customer has tastes and preferences. However, please be assured your thoughts will be forwarded to our hospitality manager for review. On time. Staff attitude dynamic and flexible meant all i bought were dealt with very well and all saw whales. We had awesome weather which was lucky but highly recommend the CC service. It was a nice trip with a friendly crew. We saw whales very closely . Pity you needed a ticket . SO often these days we are asked to download our ticket. So many people were int eh queue only to be told their downloaded ticket was not sufficient - they had to leave the queue, go to the ticket office, then go back to queue. Thankfully I had forgotten our tickets, so had already been to the ticket office. Service: The crew were very helpful and informative. Product: Helpful pleasant crew. Well presented craft and crew. It was an amazing tour. The guides were very friendly. I will suggest everyone use this service. Service: On time and the description was accurate. good commentary, spacious steady ship. Good clear communication, attention to safety issues, informative commentary. Service: The people were friendly and informative. A great sense of humour. Product: Great experience, very informative. Service: We went on the tour without much expectation of seeing Whales in the open water. We ended up with an amazing experience seeing 5 whales for a period of hour or more. The cruise personnel are very professional and friendly. We recommended it. Product: Friendly and professional staff. Service: Fantastic trip. Guide was interesting and very knowledgeable.